My early experiments with IoT involved standalone sensors, breakout boards, Arduinos, Raspberry Pis, and a soldering iron. It was a lot of fun, but it took ages to build even the simplest of projects. 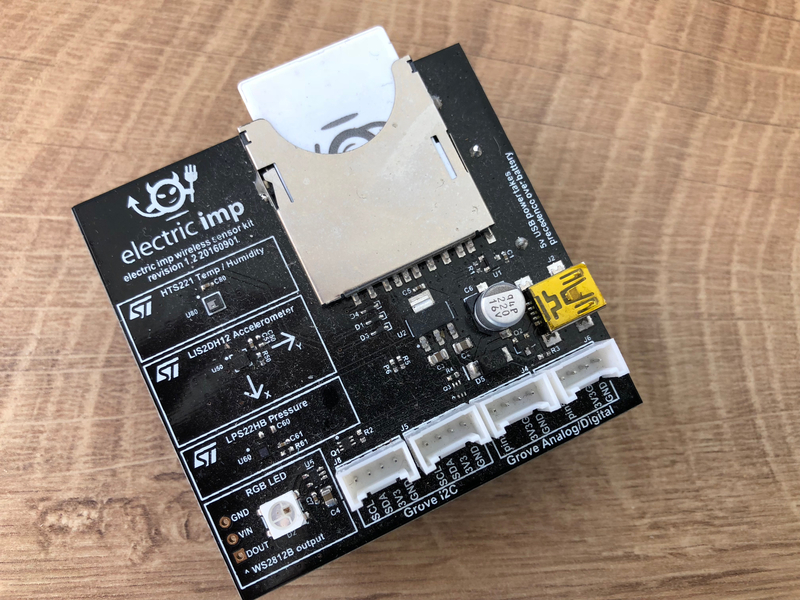 Therefore, I was super excited when I discovered that Electric Imp had a self-contained IoT hardware developer kit and a library to access MongoDB Stitch directly. My first experiment with Electric Imp took sensor data (temperature, humidity, air pressure, light level, and orientation) from the device, and stored it in MongoDB. This post focuses on the integration between the Electric Imp agent code and Stitch, but those interested can view the device code. Note that you will need to create the API_KEY through the Stitch UI. ImpWrite also calls the controlHumidity method – find more on that in this post. You can recreate the Stitch app for yourself by downloading the app from GitHub and importing it into Stitch. You'll need to set some of your own keys first (including the details of your IFTTT webhook address) – details are in the README. The repo also includes the Electric Imp code for the agent and device. Want to learn more about MongoDB Stitch? Read the MongoDB Stitch white paper.